This is the first Economic Survey post the GST implementation. Prepared by Arvind Subramanian, the Chief Economic Advisor of India, the survey summarises the performance on major development programmes. Economic Survey projects Indian GDP to grow 7-7.5 percent in the financial year 2018-19. The growth to be higher at 6.75% in the financial year 2018 than previous estimates of 6.5%. The major concerns are the surge in oil prices. The economy management is likely to be challenging in the coming year. Economic Survey noted a large increase in registered direct and indirect taxpayers after GST. It says that the indirect taxpayers increased by 50%. Agriculture, education, and employment are the three areas of focus in the medium term. First time in India's history, five states, accounted for 70 percent of country's exports. The five states are Maharashtra, Gujarat, Karnataka, Tamil Nadu and Telangana. The Swachh Bharat initiative has increased sanitation coverage in rural areas from 39% in 2014 to 76% in January 2018. The survey revealed that the textile package has boosted exports of key manmade ready-made garments by 16 percent. The direct tax collection by states and local governments are significantly lower than those in other federal countries. India's stock market boom is different from that of the US. Better profit expectations, large portfolio allocation away from gold and real estate into stocks and higher interest rates. The survey calls for a policy vigilance in the coming year if oil prices persist on a high tab or stock prices correct sharply. Economic Survey highlights gender issues and said Indian parents, still keen to have more and more male children, continue to produce until they have the desired number of sons. 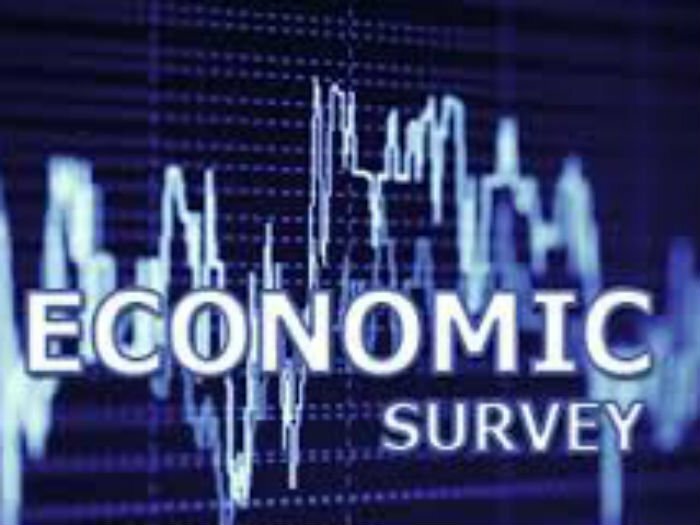 The Economic Survey is an annual publication of the Finance Ministry and is presented in both houses -- Lok Sabha and Rajya Sabha-- which reviews the developments of the economy in the past 12 months ahead of the Union Budget. This year, the Budget session will span the period between January 29 and April 6. Phase 1 started on Monday, January 29 and will come to an end on February 9. Phase 2 is scheduled for March 5 to April 6.